Anderson Trade is a nationwide supplier of commercial vacuum, carpet and hard floor cleaners and accessories. One of their key selling points is the fact that they offer tailored advice and helpful demonstrations on all trade sales. DERBY, England - June 8, 2017 - PRLog -- Organisations looking to purchase a commercial vacuum cleaner, hard floor cleaner or scrubber dryer will usually find the volume of choice overwhelming. Making a buying decision based only on online research that is rarely relevant to individual needs can often lead to wasted time and money and missing out on efficiency and productivity advantages where an unsuitable product is selected. A lack of personalised advice from experts who take time to make themselves familiar with particular requirements is often to blame, and with so many suppliers having moved to an online-only service in order to keep costs down, it is all too common. A lack of understanding of precisely how machines work and their pros and any cons also adds to the problem. So what should companies seeking to purchase a commercial cleaning machine do to avoid these issues? One solution is to approach Anderson Trade, an established nationwide supplier of commercial vacuum, carpet and hard floor cleaners and accessories. Their aim with every trade enquiry is to forge a long term relationship rather than simply transact. "That way we can be totally sure we are supplying the customer with exactly what they need," says James Anderson, a key member of the company's team since 1995. Anderson Trade's experts are on hand to helpfully deal with all enquiries on a one-to-one basis, which means answering as many questions as customers wish to ask about their specific requirements and how they might benefit from certain machines. Free demonstrations are also offered. Says James Anderson, "We've been supplying the trade for many years now and have learnt from experience that customers feel a lot more reassured when they are able to speak to someone who understands their needs, which is something we always take time to do. We also know how challenging it is to make a buying decision without first seeing a range of options in action, which is precisely why we offer free demonstrations on all our commercial cleaners." Anderson Trade offers a money back guarantee on all trade sales. If a customer happens to be less than 100 per cent satisfied, they are able to return the product purchased for a full refund. The company also provides a service and repair facility with a fast turnaround, as well as trade account facilities which allow companies to enjoy the chance to pay on invoice, take advantage of trade discounts and benefit from exclusive offers. 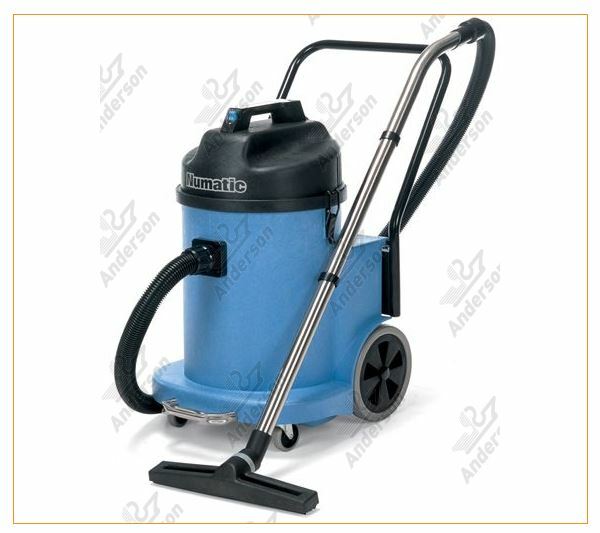 Any company in the process of sourcing a new commercial vacuum cleaner, hard floor cleaner, scrubber dryer, rotary floor polisher or any other type of commercial cleaning machine is well advised to get in touch with Anderson Trade. An extensive range of commercial cleaners is offered including some of the world's leading brands such as Numatic, Pacvac and Lindhaus. Also on offer are thousands of spares and accessories, all sold with the same personal touch. To view the Anderson Trade range visit https://www.anderson-trade.co.uk and for tailored advice and to organise your free demonstration call 01332 347557 or email sales@anderson-trade.co.uk.